With £3.2 trillion of wealth poised to pass to the next generation over the coming decades, the demand for estate planning services looks set to grow further. BPR qualifying investments – with their focus on speed, flexibility and capital preservation – should continue to feature in every adviser’s investment proposition. The report comprises a summary of the BPR market, an update on estate planning and HMRC IHT statistics, an analysis of open investment opportunities, and surveys and interview with both IFAs and investment providers. With our world class universities and research sector helping to set the agenda, and many companies located outside London, helping to drive growth in the regions, the Technology sector is a UK-wide success story. Access to it via tax-advantaged venture capital investments makes it even more interesting. The report comprises a summary of VCT, an update on the market today, tips on how to advise on VCT, an analysis of current investment opportunities, and surveys and interviews with both IFAs and investment providers to get a temperature check on how they perceive the sector. We strike a balance between covering old ground for the benefit of new readers, and looking at new developments and interesting areas that we haven’t covered before. New readers who want more depth on some of the basics, such as the benefits of a portfolio approach or how to carry out due diligence, should download copies of previous reports to find more detail. The report comprises a summary of EIS, an update on the market today, tips on how to advise on EIS, an analysis of current investment opportunities, and surveys and interviews with both IFAs and investment providers to get a temperature check on how they perceive the sector. 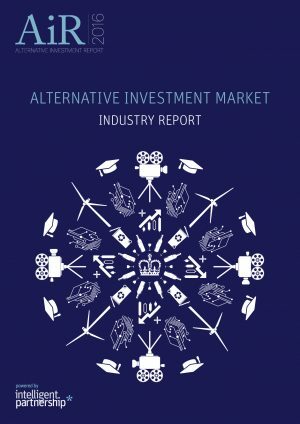 Intelligent Partnership have published the first ever industry report focused on the AIM market. 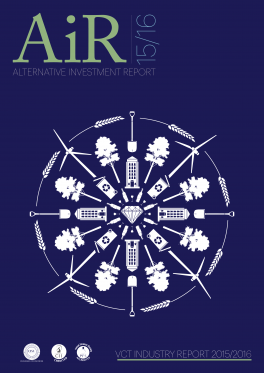 Part of their award winning Alternative Investment Report (AiR) series, the 80 page, CPD accredited report takes an in-depth look at AIM from advisers and financial planners’ point of view, with a particular focus on tax efficient investments. 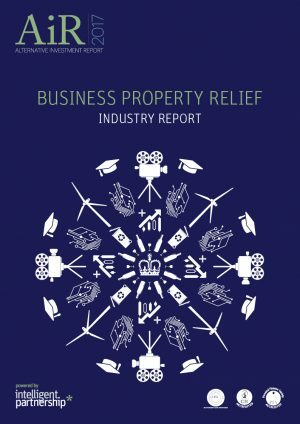 The Report is 40,000 words and 110 pages long, and is a quick way for advisers to gain an overview of the BPR market – covering the types of products available, the risks and the key features to be cognizant of, suitability, market data and the political outlook for the relief. A section dedicated to planning case studies has also been included. In addition, the Report will also update readers on the new products that have been launched and examine how they have changed the composition of the market, and what new options advisers have when sourcing products for their clients. 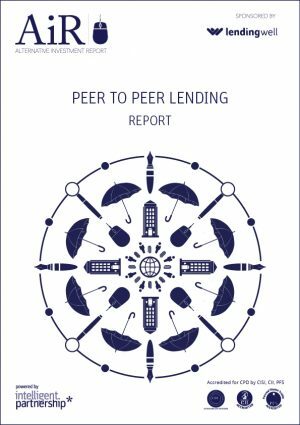 The report also includes a survey of advisers and a write up of an adviser roundtable Intelligent Partnership held to see how advisers feel about BPR, how they use the products and what they think their peers need to know about the sector. The report surveys advisers, investors and providers and includes a comprehensive market analysis of the EIS sector. We look at the trends that are shaping the current market and our research will give readers reference points that provide a benchmark for costs, fees, the level of target return and other key features. We also discuss suitability, due diligence, the development of the SEIS and SITR and tools available for advisers. 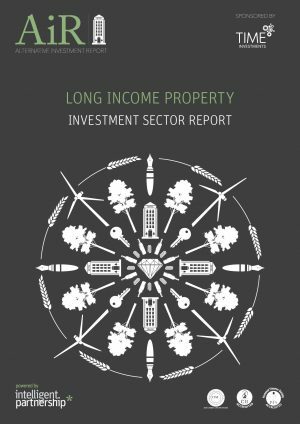 Whether coming this sector for the first time or wanting to keep up-to-date with the latest developments, this report provides a useful overview. This is the first ever VCT Industry Report aimed at advisers. 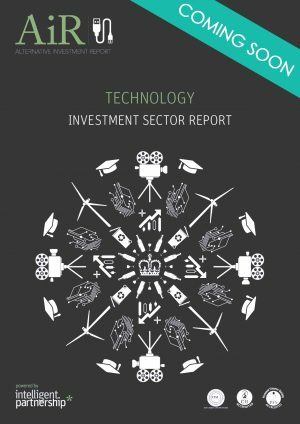 Compiled in autumn 2015, the report covers the history and development of the sector as well as looking at the opportunities that are available in the market today and the different operating models of VCTs. Readers will learn about the changes in legislation that were introduced in 2015 and the impacts they will need to consider when investing; the tax reliefs available and how they can be used to create tax efficient decumulation strategies at retirement; the challenges with analysing performance and fees and how they can be overcome; and suggestions for carrying out suitability assessments, due diligence and putting together investment panels. Finally readers will learn how their peers and other investors view the VCT market.